“Travel, in the younger sort, is a part of education; in the elder, a part of experience.” – Francis Bacon. Service: NWKRTC Airavat Club Class. It was a lazy Saturday afternoon when a plan to visit Belgaum was plotted. All thanks to one of my friend who was visiting from Mumbai, this was one trip I could not say no to. Everything went accordingly as planned till the Sunday evening when my return leg of the journey went awry. Though I knew that I was too late yet I still decided to frantically search tickets for a ride back home. Most of the operators were running full and the only ones that were left were overpriced. The only option I was left with was to reach NWKRTC for help. Without further delay, I decided to try my luck in Hubli as almost all buses from Belgaum division were running full. I bid good bye to my friends and boarded an express bus towards Hubli. Enroute to Hubli, I called up my trusted friend who in turn with his cool Hubli accent said ‘Hubli ge first barri pa.. 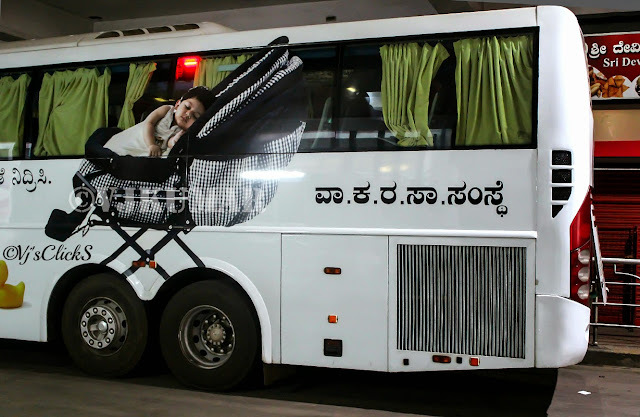 Bus bagge yak chinte madtira’ (Reach Hubli, don’t worry about the buses). With his assurance, I decided to settle down as my super fast express bus was now thundering towards Hubli. As soon as I landed in the Hubli new bus stand, I met Prashant and we went around and enquired for seats in buses departing to Bangalore. The buses were either full or last seat were in the offering. At that moment, I decided to take an express bus back home as the scene at the bus stand with passengers frantically searching for seats was making me a little worrying. While I was watching the chaotic scenes, my friend calmly said- ‘Hey barri paaa.. first girmitti thindu amele barana’ (Lets have Girmit first and then come back). 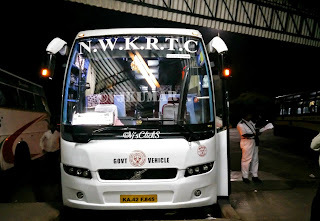 After enjoying a nice snack, we came back to the bus stand to find the beautiful Hubli- Chennai Gold class from M3 depot resting at the platform. 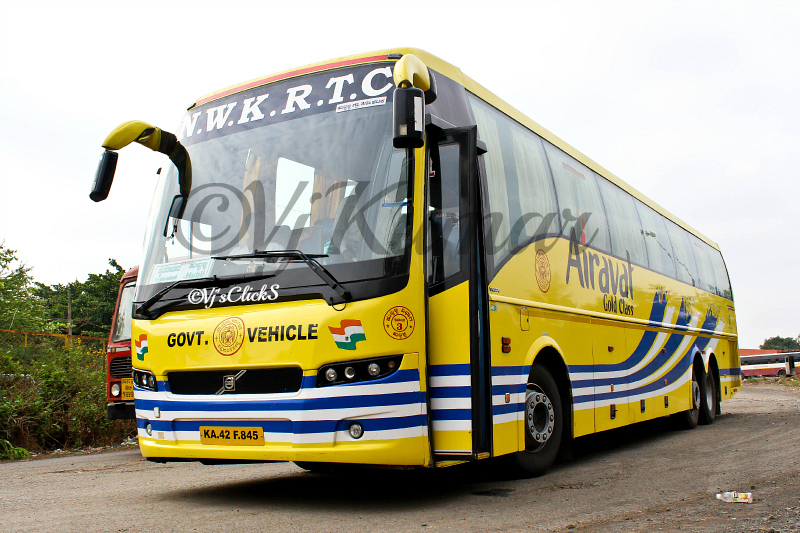 The bus was recently converted from Gold Class Livery to the Club Class livery. The crew immediately identified Prashant and when enquired about the seat, the conductor smiled and allotted me a seat. Finally, there was a huge sigh of relief as I was all set to travel back in comfort towards Bangalore. With all the passengers accounted for, we slowly began to pull out of the platform. The a/c was set to optimum temperature, blankets and ware bottles already placed in the seats. As I settled down in my seat, the bus pulled out of the bus stand and slowly made its way towards Hubli Old Bus Stand. We reached Hubli OBS in no time and we began to wait for a passenger who had reserved a seat. We were quickly joined by Bangalore bound Belgaum Corona a/c sleeper. The Corona left after few minutes however we waited along. The crew called up the lone passenger who was delaying the departure. The passenger reached after a good 15mins and with all passengers accounted for, we said good bye to Hubli city. The bus slowly made it way towards highway and began to cruise at optimum speeds. 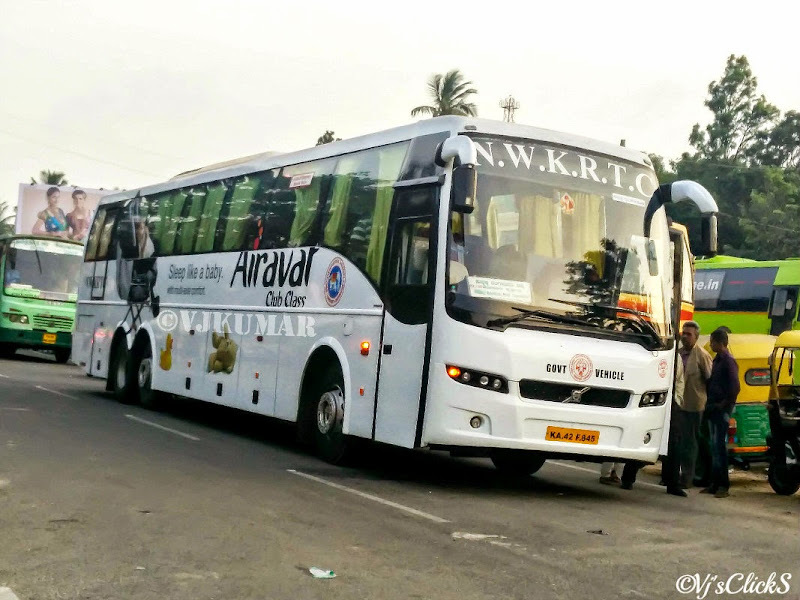 The driving was of NWKRTC standard, sedate and comfortable. The driver was using indicators effectively and ensured not to honk while overtaking slow moving vehicles. We passed by Varur and the last thing I remember was a Pune bound Club class passing by on the opposite lane. The comfortable ride did not take much time to put me to sleep. The bus was absolutely silent and the suspension was just amazing. Will I try this service again. Since I had traveled in M3 depot buses earlier, I knew what was in the offering even before the journey began. 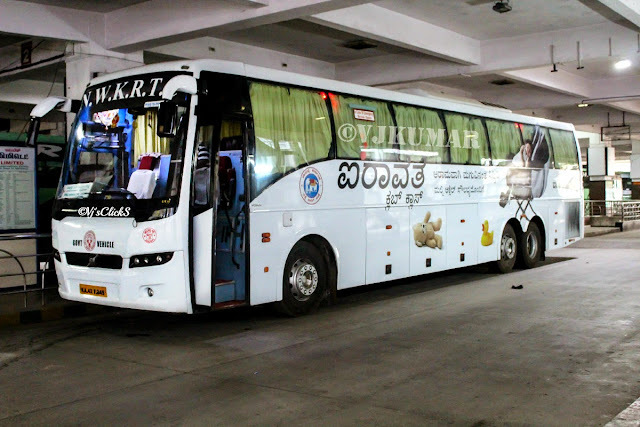 The super friendly crew of Hubli division makes your travel always enjoying, comfortable and relaxing. 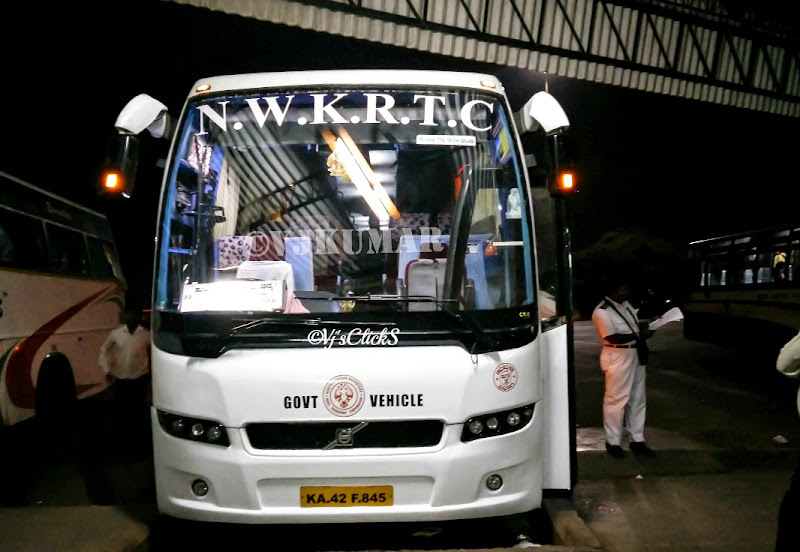 Needless to say but I will continue to travel in NWKRTC whenever a need arises.